The reason to buy a Cadillac SUV is luxury and features, and the XT5 delivers on that value proposition. If you want an American-brand luxury mid-size crossover SUV, you have five choices. You can buy the Cadillac XT5, the Lincoln MKT, the Tesla Model X, the GMC Acadia, or the Buick Enclave. Those are all worthy contenders, but only one will include an authentic Cadillac experience. That's important because Cadillac really does make its vehicles distinct from other brands. Whether it's the striking exterior design or interior styling and controls, there's nothing else quite like a Caddie. Start with the outside. Cadillac uses lights and exterior styling cues that are a little more bold than you'll find in other brands, so that the XT5 is immediately recognizable at a distance. The sharp lines of the body and the large 20-inch wheels give the XT5 a rakish appearance. This is not an SUV that wants to blend in. The effect continues inside. The Cadillac offers a mixture of high-tech touch controls and a clean design that reflects a modern idea of luxury and efficiency. 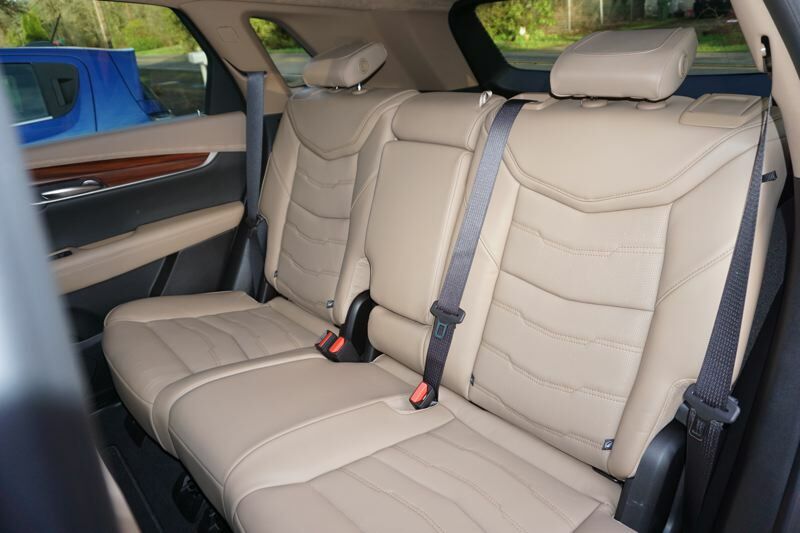 Of course, you'll enjoy the soft leather seating surfaces, equipped with both heat and ventilation in the Platinum trim, and a heated steering wheel. 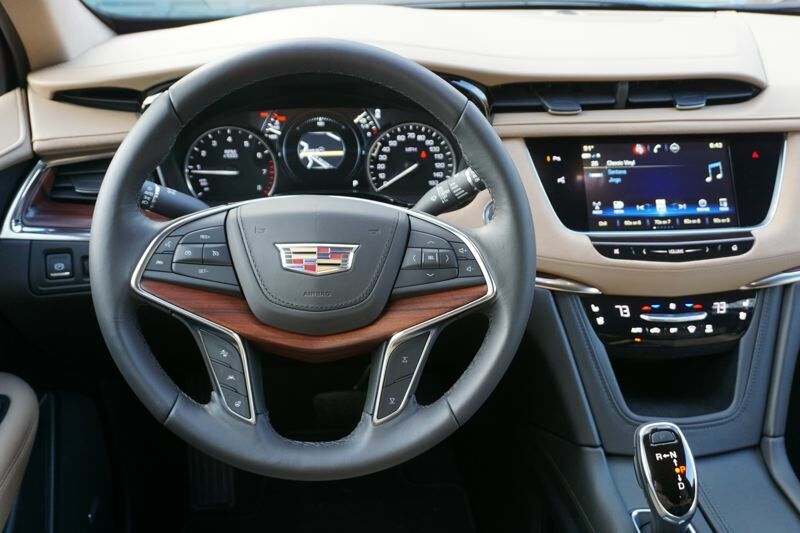 Like all GM products, the Cadillac leads in dashboard technology, with a data plan for the vehicle that automatically creates a wifi hot spot for full-time connectivity. The head-up display on the windshield is also included with Platinum trim. The sound system in the XT5 is a Bose 14-speaker surround sound plan that is controlled through an 8-inch touchscreen embedded in the dash. Whether you're taking calls with the hands-free setup or streaming songs from your phone, the sound quality is excellent. The Cadillac is powered by GM's trusty 3.6-liter V6 engine, tuned up to 310 horsepower and 271 pound-feet of torque. Power is delivered to all four wheels through an 8-speed automatic transmission. AWD is standard on the Platinum trim, and optional on other trim levels, but definitely a must-buy feature in the Pacific Northwest. The XT5 drives with the kind of ride you expect from Cadillac. In AWD trim, the SUV weighs in at a hefty 4,356 pounds, so you wouldn't call it a performance model, but it fulfills the Cadillac promise of usable engine power. The XT5 also fulfills your fuel economy goals, reaching up to 25 MPG on the highway, which is good for a mid-size SUV. 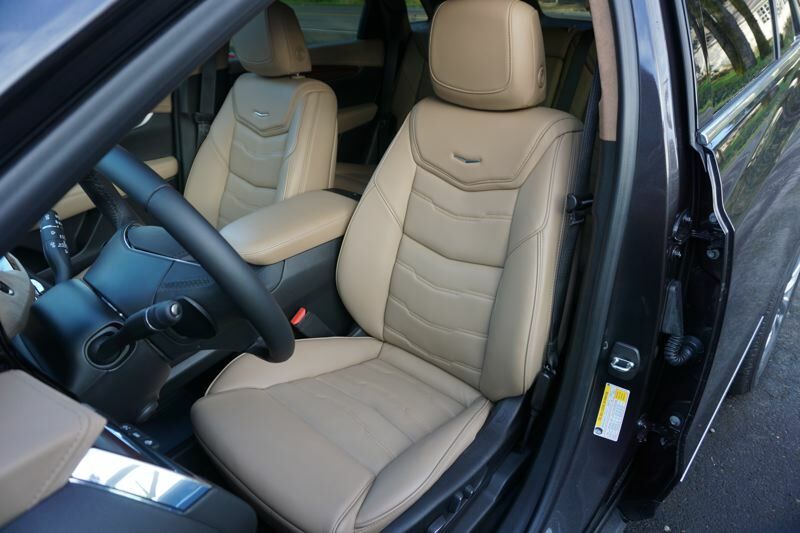 The reason to buy a Cadillac SUV is luxury and features. 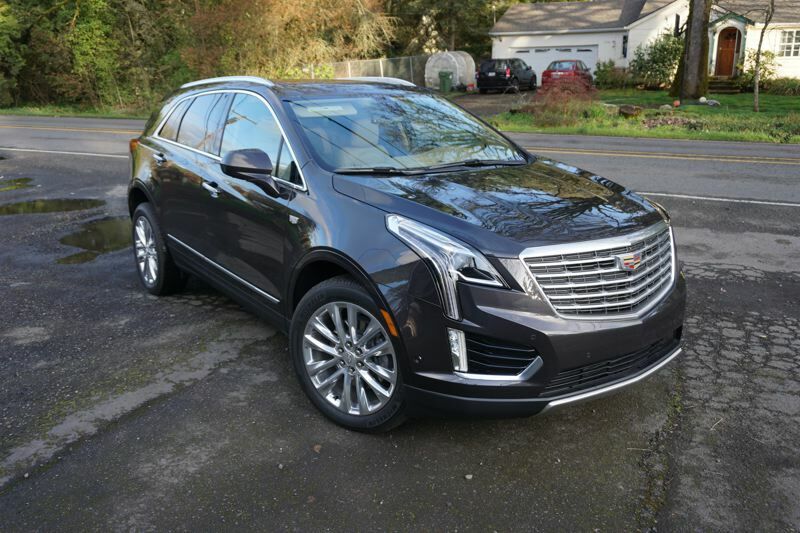 The XT5 delivers on that value proposition, and if you take a test drive you can't fail to notice the difference between this SUV and the competition. If the Cadillac is for you, you'll know it right away.